All praise is to God, Who has said in the Glories Quran: “The most who fear God are scholars, or people of knowledge.” Salam and salawats, may peace and blessings be upon our blessed Messenger, who has said: “Seeking knowledge is a duty upon every muslim.” May peace be upon his family, companions and all those, who pursue his path of knowledge until the Day of Judgment. Early Muslims, motivated from these words of God and of His Messenger regarding the goodness and the value of knowledge, they entered the path of seeking knowledge and thus became world’s leading scholars in all fields of knowledge. Rays of their knowledge did not remain only in the Muslim territories, but they spread to give enlighten throughout the world, while praying and hoping that the light of knowledge to enlighten even their territories who were plunged into the darkness of ignorance. European Kings would send their sons and daughters to be educated in Islamic Universities. Brothers and sisters in Islam this was a proud status of the Muslims in which they understood and applied Islam correctly, by not distinguishing between religious knowledge and that of human knowledge which God had taught before to our father Adam. Historical evidence show that Muslims thirsty and hungry for knowledge entered in every field of education giving valuable contributions in the field of medicine, astronomy, philosophy, mathematics, chemistry and so on. From the first century of Hijra during the Umayyad Dynasty began the effort to establish scientific cultures than later during the Abbasid period this effort were to climb at the top of pedestal of the world. During the time of khalif Mamun, 215h (830) during that time of flourishing knowledge of sciences, every book translated into the Arabic language would be price with gold equivalent of the weight of the book. Libraries. 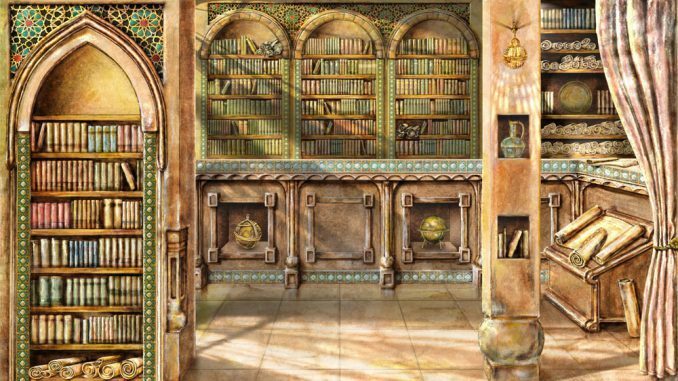 During the time of Islamic Civilization were three types of Libraries. General Libraries of Mosques and Schools. Example, the Library of Basra, which index was 10 volumes. In Bagdad it had 36 of these. Personal libraries, which people had created in their homes. Libraries part personal in part general, which were used by scholars and students. These libraries contained books that were rare and very valuable in which could not be possessed by common people. DARUL HIKME- in Cairo during the 4th century which Ibn Haldun calls it Darul Mearife or Darul Ilm, had 100,000 volumes. Six hundred handwritten manuscripts in astronomy and mathematics. Also this library was equipped with two celestials’ globe to explain the science of astronomy. Its costs covered by separate awkaf, which were assigned to. MEKTEBUL AZIZ- in Cairo had 1.6 million volumes. Among them 6000 volumes in mathematics and 10,000 in philosophy. MEKTEBUL KORDOVA– in the fourth century had 400,000 volumes with 44 registers indexes. All this culture and civilization flourished during a period when Europe was in deep Dark Age of ignorance during the middle ages. Therefore, in Cordova the library had 400,000 volumes, and four centuries later, the King of France Charles the fifth had only 1000 volumes in his royal library. The promise of God is just and true, but are today’s Muslims good servants of God? Do Muslims deserve today the inheritance of the land? Let us see as what happened then when Muslims abandoned the knowledge and their religion? (وما ظلمناهم ولكن كانوا أنفسهم يظلمون ) . That is because Muslims were to follow the message of the Book, but where are the Muslims for the past several centuries? Brothers and sisters, we brought these examples from the period of the Islamic Civilization, not simply to read them and listen to them, but to really understand them and to obey with conviction that the path to freedom, pride, power, development and prosperity passes through knowledge as our predecessors have done in the past. Whenever we neglect and abandoned the pursue of knowledge, Almighty God will never help such people, because He has created this world with knowledge and strict laws, and this shall continue as long as the world is in existence. O God! Make us among those who love, pursue and contribute in knowledge. AMIN!